"In order to keep pace with rapid changes in technology and resulting in-demand skills, learners need access to education. 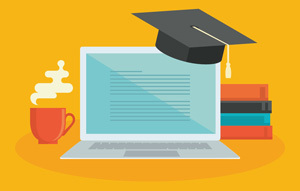 To meet this need, it is more important than ever that institutions provide quality online education programs," said Julie Uranis, vice president for online and strategic initiatives, UPCEA, and managing director, National Council for Online Education, in a statement. "With the launch of our Hallmarks of Excellence in Online Leadership Review program, UPCEA is committing to working closely with institutions to identify and recognize high-quality online offerings, and partnering with Credly extends that commitment in the way we publicly acknowledge institutions that demonstrate excellence through the review process." The first institution to earn the Hallmarks of Excellence in Online Leadership Review badge is Embry-Riddle Aeronautical University. Commented Jason Ruckert, vice chancellor of online education at the institution's Worldwide Campus, "The UPCEA Hallmarks of Excellence in Online Leadership Review was an incredibly valuable, comprehensive, and robust process that all institutions aspiring to take their online education units to the next level should seriously consider undertaking. From the self-assessment submission to the personalized committee interviews, the information gleaned was invaluable. We're very proud to be the first to successfully complete the review process, receive our badge, and have the hard work of our faculty and administrators be recognized."